Boca Raton Football Club is excited to announce the signing of Gustavo Bergmann, better known as Guto, for the 2015 APSL Fall Tournament. Guto played the 2015 APSL Season with Miami Dade FC and now moves to Boca Raton as the club prepares for the US Open Cup. The Brazilian native played in all nine of Miami Dade FC’s matches last season, recording one goal, and eight assists. Guto played 2 years at Deportivo de La Coruna, of Spain’s La Liga before coming to Miami Dade FC. 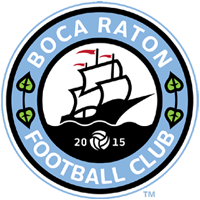 Guto will suit up for Boca Raton FC’s matchup versus Miami Fusion this Saturday at Lockhart Stadium. Tickets for the game can still be purchased at www.strikers.com/tickets. Use the promo code SFCC for discounted tickets. Wow, I saw this guy playing a game when he was at Miami Dade and I can say that he has a great future! Good luck for Boca!